From 21st to 24th September this year, I was lucky enough to spend several days hearing about the work of fellow criminologists (and sociologists of deviance! ), at the European Society of Criminology’s Annual Conference, held in Münster, Germany (http://www.eurocrim2016.com/). All matter of criminological subjects were covered … crime prevention, criminal justice processes and systems, victim support, offender motivation, criminal behaviour, to name a few. Typical of the ESC, there were lots of paper presentations – and inevitably this meant I was only able to attend a tiny percent of presentations. Those that I attended covered research work on extremism and terrorism, cybercrime, immigration, honour crimes and sexual violence. I was inspired by the several thought-provoking plenaries, and especially hopeful for the future of critical criminological work when I met a number of postgraduate and early-career researchers. I was also honoured to have been able to present my own paper. Based on arguments contained in my upcoming book ‘Race and Society’ (to be released in November 2016, by Sage publications), my conference paper was titled ‘Cultural repertoires in the media’s coverage of child sexual exploitation’. In it, I discussed the media’s coverage of two child sexual exploitation (CSE) cases in Rochdale (Greater Manchester) and Rotherham (South Yorkshire), UK. These cases gained prominent media attention in the period between 2010 and 2015. The CSE involved young white female victims and male abusers of black and minority ethnic (BME) background, in particular of Pakistani heritage and of Muslim faith. The paper argued that these cases were narrated in the media entirely through a cultural repertoire, and drew on older racialised panics about the black (or in particular, brown) menace and white victims. This further presented racialized profiling methods as necessary. Apart from the obvious concern around racial profiling, I argue that there is also the problem that the crime of CSE becomes racialised – presented as a form of culturally-specific deviance, rather than one about gender and power. I concluded by emphasising how the media’s racialised (re)presentation of these CSE cases takes into account their relative power in modern society, as well as their status, along with other elites, as joint-producers of information about race and racism. Thank you to the ESC organisers and delegates for enabling a thoroughly enjoyable, thought-provoking and inspiring conference. And, thank you to the people of Münster for your warm welcome, wonderful weather and delicious food! 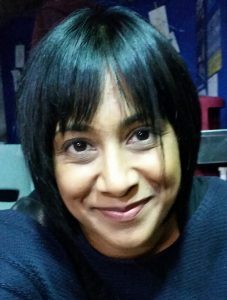 Dr Tina G. Patel is a senior lecturer in Criminology. To hear more about Tina’s work, you can follow her on Twitter: @DrTinaPatel. In revisiting older theories on racialisation processes, and in particular the racialisation of crime, I am academically curious about this subject, but at the same time, given that I am what is often referred to as ‘a brown body’ (Patel, 2016) who has felt the venom and impact of racism, I am concerned at what fate lies in wait for me: a brown-bodied (and a dark-skinned one at that) woman of south-Asian heritage – especially within recent times whereby Brexit has once again made it logical and acceptable for some to openly abuse all those considered to be ‘non-White’. I am British, but am always challenged and devoid of its privileges. I am thus, not (nor ever able to be) a ‘true Brit’ – not least because the brown-body does not fit into the racial logic of ‘true Britishness’. Indeed, in recent times – an era marked by terror attacks and child sexual exploitation cases, to be brown (which is always then equated with Muslim-ness), is to be considered anti-British and a security threat, and has been met with numerous attempts by criminal justice agents and their allied services to heighten surveillance, control and ultimately the remove all those considered brown. As I discuss in my forthcoming book, ‘Race and Society’ (Patel, 2016), those who differ racially from the ‘host’ nation are always perceived as ‘immigrants’ of some sort – they can’t be anything else but ‘immigrants’, and illegal ones at that. Craig (2007, cited in Law, 2010: 119) notes how racialised “immigrants have been characterised as ‘cunning’, ‘loathsome’, ‘unprincipled and likely to ‘swamp’ British culture”. A quick scan of the international press on any given day illustrates the staunch fear and hatred with which immigrants have come to be universally viewed. Indeed, many of these sentiments were common place in campaigns on the UK’s recent referendum on EU membership. As a criminologist though, I am also interested in the way in which race-hate based criminal behaviour also becomes racialised, with offending behaviour carried out by some groups being considered as a rational and excusable response to some other more dangerous threat. That offending behaviour is therefore perceived as non-criminal, or less criminal at least. I argue (2013: 41) that this is because ‘White bodies’ are able to re-assign labels of problem, racist and deviant, largely because of their normative, moral and superior status – a privileged position emerging from centuries of practices in which whiteness has remained unchecked. This reinforces the normality of their racist ideology. In particular, those supporting Far Right ideology, place emphasis on positive approaches to a national identity – which goes hand in hand with a pro-white ideology, and cultural pride, rather than on an anti-black view and motivations of hate (Berbrier 2002). This is a claim made about one Far Right group, the English Defence League, who have been ‘selective’ in its discrimination (Copsey 2010), by carefully harnessing existing culturally racist views within mainstream society, and then going on to re-frame them within discussions about ‘human rights’, ‘English culture’ and the threat of ‘Sharia law…..being adapted and enforced in England’ (English Defence League 2012). I have argued (in Patel, 2013) that this careful re-presentation of Far Right values and beliefs allows for any direct accusations of xenophobia, racism and fascism to be refuted to such a degree that some may now refer to the English Defence League as a social populist mass movement (Allen 2011; Sheffield 2011). Berbrier, M. (2002). Making Minorities: Cultural Space, Stigma Transformation Frames, and the Categorical Status Claims of Deaf, Gay, and White Supremacist Activists in Late Twentieth Century America. Sociological Forum. 17(4), pp. 553-591. Copsey, N. (2010). The English Defence League: Challenging Our Country and Our Values of Social Inclusion, Fairness and Equality. UK, Faith Matters. Law, Ian (2010) Racism and Ethnicity: Global Debates, Dilemmas, Directions. Harlow: Longman. 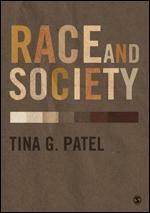 Patel, T.G (2016) Race and Society. London: Sage. Forthcoming – November 2016.